One of my favorite appellations in Northern California, Stags Leap, boasts a long and storied history. With the unique soils of coarse loam, clay, and filled with rocks, it produces an unfair abundance of amazing wines. Wineries such as Regusci, Shafer, Clos Du Val and Stags Leap helped establish this region and put it on the map decades ago. 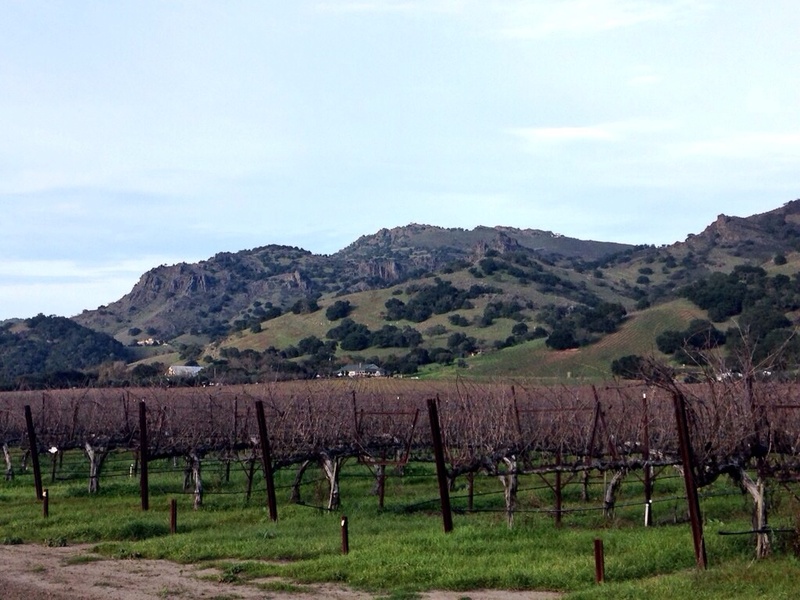 Stags Leap is a resilient appellation which survived prohibition, phylloxera, gangsters, and many other challenges. Today it produces wines of power and elegance. Cabernet Sauvignon is the main grape that flourishes here but wineries have planted a variety of other grapes to produce wines of amazing balance that rival some of the most storied and well received wines of Bordeaux. Over a half century ago, Nathan Fay planted 70 acres of Cabernet Sauvignon in the coarse volcanic soils along the Silverado Trail. Famed wine producer, Joseph Heitz, purchased most of the fruit and produced Heitz “Fay Vineyard” Cabernet. This was one of the first wines to be labeled and produced with its’ vineyard designation on the bottle. This helped bring attention to the Napa Valley which had many years to go to achieve the stature it holds today as one of the premiere wine growing regions. In the mid 1970s, Stags Leap Cellars put their wines up against the storied wines of France. They stood up to Mouton-Rothschild and Haut Brion and in blind tasting, and won. This was an amazing time for Napa and built momentum and respect for the wine producers of this region. Today, some of my favorite wineries in Stags Leap District are Chimney Rock, Pine Ridge, Odette, and Regusci. Chimney Rock boasts a beautiful tasting room that is modeled from a Dutch style South African building. Over a decade ago, V.P. of winemaking, Doug Fletcher, passed the reigns to a young up and coming Brazilian winemaker, Elizabeth Vianna. Since then Elizabeth has produced a large portfolio of amazing balanced and structured wines for the Terlato family. She has a winemaker’s dream of a vast variety of fruit and terroir to produce wines of the highest caliber and consistency. Some of my favorites are the Ganymede, Clone 7, Alpine Vineyards, and of course their amazing Cabernet Franc. Regusci resides next door and has some of the longest history of producing wines in the District. Winemaker, Charles Hendricks, produces wines of fierce structure that practically stand up on the their own. Charles produces fantastic bottles of Cabernet, Merlot, Zinfandel, Syrah, and Chardonnay. Pine Ridge is another of my favorite wineries producing wines of extraordinary elegance and structure that exemplify what Napa wines are all about. The diverse appellations and terroir produce world renowned fruit of character. Pine Ridge’s Stags Leap Property of approximately 25 acres rises up steep terraced hillsides that require the majority of the farming to be completed by hand. They grow Cabernet, Malbec, Petite Verdot, Cabernet Franc, and Chardonnay. Although, Napa boasts many appellations of amazing grace, the small Stags Leap District is one to visit and enjoy the many wineries that produce top notch wines that will be sure to impress. The architecture of the wineries will produce great photographs and memories that will last a lifetime. You will definitely want to experience the wines and history that make this place so magical.